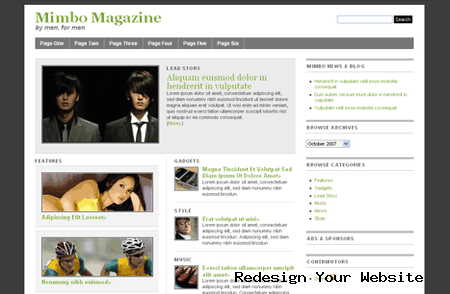 50 Free WordPress Themes | WordPress Theme | All Free Web Resources for Designer - Web Design Hot! Great WordPress themes are pretty hard to find. Everybody who has run a Google search on “wordpress themes” knows that. So we thought an article like this will be useful. This entry was posted on Thursday, March 26th, 2009 at 1:22 am and is filed under WordPress Theme . You can follow any responses to this entry through the RSS 2.0 feed. You can leave a response, or trackback from your own site. http://www.webdesignhot.com – da best. Keep it going!